The last decade was a gas. Let's do it again sometime. Donation of ad revenues to "SOB: Save Our Barn"
I have a long-standing practice of donating Google Ad revenue checks from this blog to worthwhile local non-profits who give so much back to the community. Past causes I've donated to include: Fisk University, Buena Vista Enhanced Option School, Cumberland River Compact, Second Harvest Food Bank, 88.1 WFSK FM, North Nashville Flood Relief Group, Nashville Jazz Workshop, Friends of Nashville Farmers' Market, the Nashville Symphony, and the Cheatham Place Kids Christmas Party. 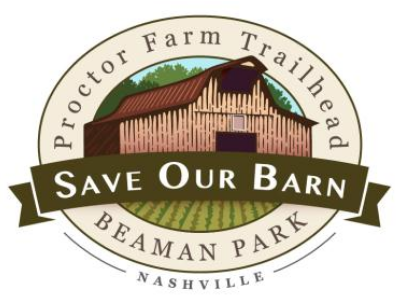 Friends of Beaman Park has started a capital campaign to raise funds to stabilize and restore the 100-year-old barn on the Proctor Farm Trailhead on farm land donated in the park. This time around, I will donate $100 in ad revenue collected to the cause of "SOB: Save Our Barn," as run by Friends of Beaman Park. 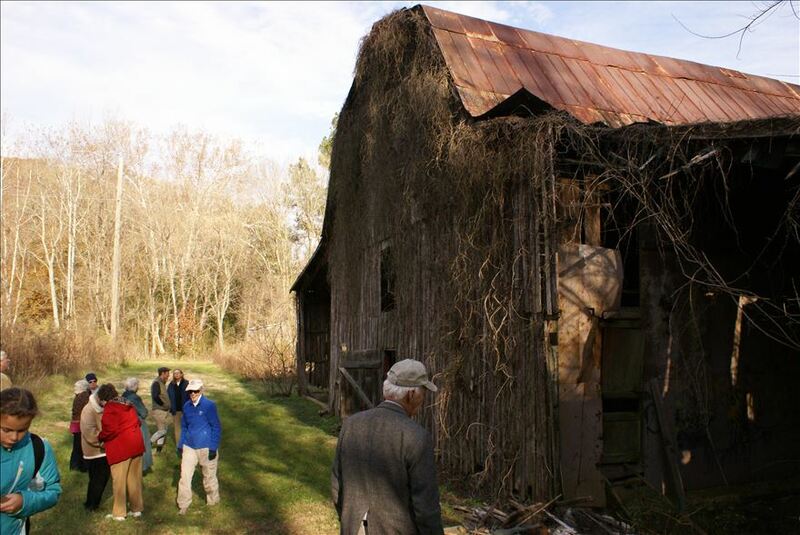 This barn will serve as an attractive landmark at the lower trailhead of relatively high-elevation Beaman Park. The park is a unique and striking place in Davidson County, vital to our common good. Please join me in donating to preserve this historic landmark. UPDATE: Just discovered that SOB has a new logo. lower-income Census tracts experienced significant growth in both home values and educational attainment. To be eligible to gentrify, a tract's median household income and median home value needed to fall within the bottom 40th percentile of all tracts within a metro area at the beginning of the decade. Tracts considered to have gentrified recorded increases in the top third percentile for both inflation-adjusted median home values and percentage of adults with bachelors’ degrees. 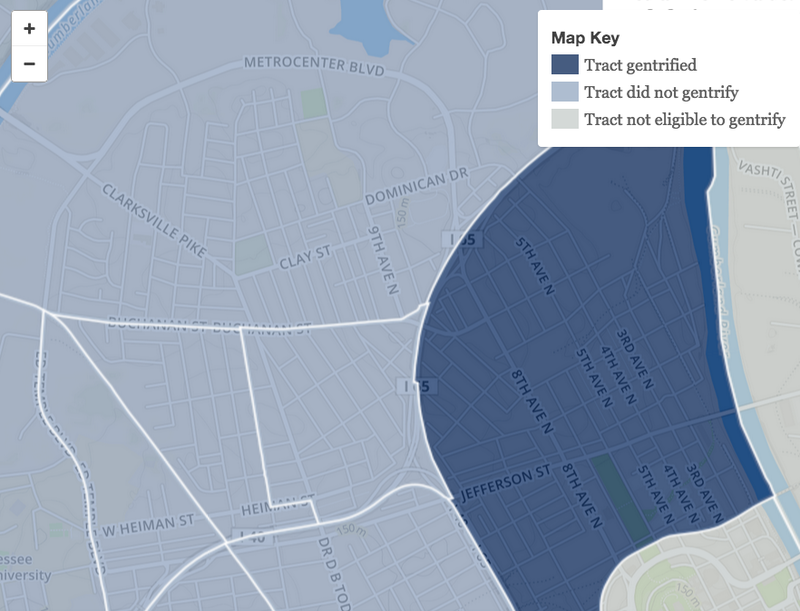 Is there a correlation between poverty and gentrification in Salemtown? Urban people’s interest in where their food comes from, and the quality of it—their worry about poisoned food, soil loss, toxicity, etc.—is a good thing. Community Supported Agriculture (CSAs), farmers markets, urban gardens, community gardens and school gardens are also all good. The worry, to me, is that all of this is entrepreneurial. Too many CSAs in any given area can make it hard for a farmer to sell enough CSA shares to get by. Our work is to try to get farmers out of a faddish economy. The other day, I was talking to a friend of mine who had the first CSA in Kentucky. He was saying that the CSA is a great model for a young farmer. He paid off his farm with a CSA. (He had borrowed the money in the 1980s, at 13 percent interest.) But he said, “You know what? It’s a young person’s game.” And that’s true, simply because it’s really hard work. He’s 55 now, sustainably logging on his own land and doing fine, but do we want farmers to quit at 55? No. We need a place for farmers, an economy for them to function in. Those of us who live in the urban core need to do more than visit the Farmers Market and buy CSA produce; we need to hold major distributors and big chains accountable, especially as they spout advertising about buying local. We're a vital link in this growing sustainable food chain of produce raised in Davidson County. We have to be informed and ready to spend sustainably and smart. It is a youthful market we can help age well. The team's new identity, brought to life by Brandiose, a San Diego, Calif. company, pays tribute to Nashville as the world-famous "Music City." The centerpiece of the identity is a new guitar pick "N" logo stylized from an f-hole on a guitar. The logos feature Music City style lettering and the platinum silver color is a reference to platinum records associated with the music industry. Mind you, one of the new uniform options for 2015 is a jersey that literally says, "Music City," along with a cap with the initials "MC." So, there is already an unmistakably straightforward tribute to Music City. The emphasis is still on the tourism enclaves of Nashville without any doff of the cap to the neighbors and proud history of the community in which it sits. 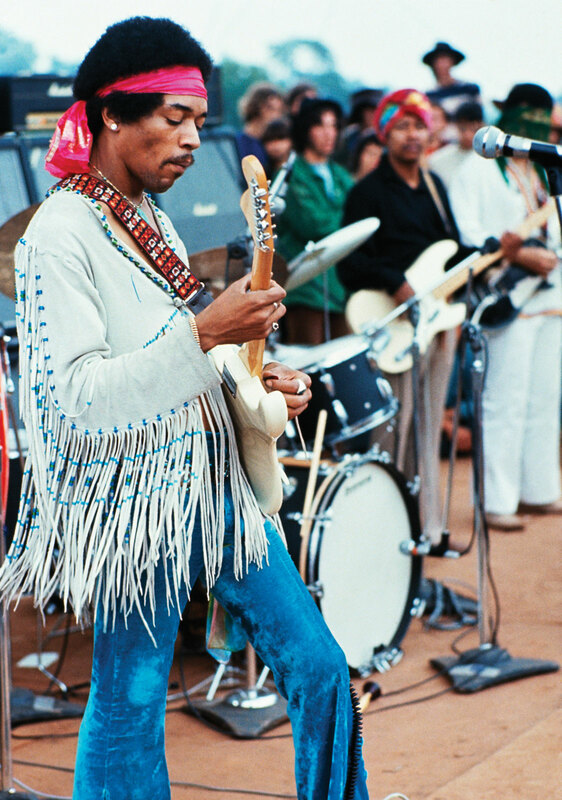 Before council approval, the Dean administration and Sounds brass were dropping Jeff St monikers like "Jimi Hendrix" (who spent time in Jeff St.'s musical culture after his military discharge) with such reverence that one would expect to hear Hendrix's 1969 Woodstock version of the Star-Spangled Banner played once a week in the new stadium. Is it too much to ask that the red in the latest Sounds uniform version be called, "Hendrix Red House red"? While a Hendrix album did go double-platinum, many artists who have come through Nashville have platinum honors. How about a specific mention for a Jefferson Street performer? It's not like I expect a color change to "purple haze" or "Jimmy James blue." It's not like I expect the Sounds to flip their new guitar scoreboard into the left-handed position that Hendrix played. It would just be nice if the team owners could give some kind, any kind of nod to Jefferson Street's music history. Two and a half months before opening day at the Nashville Sounds' new baseball stadium, Metro officials are searching for places where fans can park their cars. The 1,000-space garage — paid for by Metro and built by the state of Tennessee on state-owned land — is part of an agreement between the two governmental entities and the Sounds. The plan is for state employees to eventually use the garage during the day and for stadium-goers to use the garage at night and on weekends. But the state, which will own the four-story garage, only recently broke ground on the project and state officials estimate it won't be finished until Oct. 31. How is the Mayor working to extinguish this dumpster fire? Well, to start, four hours before the bad news broke, his spin squad announced a media tour of the ballpark construction site to take reporters' minds off the negative impact of the parking snafu on the local neighborhoods. He also promises a "temporary parking plan" using shuttles and parking lots off-site. Even when the garage was part of the concept as planned back in 2013, the Mayor made vague references to shuttles and off-site parking lots with few specifics or details, so I do not have much faith in his latest parking plan. I think baseball fans will be scouring Germantown and Salemtown for parking, especially because there are no spaces to be had downtown. I tried to warn CM Erica Gilmore about the need for a traffic and parking plan, but she wouldn't listen as she pounded ballpark construction through the council. She has already told me point-blank that she will not even consider reserved street parking for Salemtown residents. She does not have her ducks in a row on parking issues in our neighborhood. And she's a last-term lame duck herself this election year, so I'm not expecting any high flying at the council level this spring and summer as we fight for parking spaces near our own homes. "Will it be perfect?" Sounds owner Frank Ward said of the parking plan. "No, but it will help alleviate the parking issues. And we're working hand-in-hand with the city in coming up with that and making sure that we get it out to all our fans in sufficient time. "Part of the plan with the city is to minimize the inconvenience of residents in Salemtown and Germantown and to keep [the parking] all south of Jefferson Street." Maybe I missed something. Who expects perfection? Please, Mr. Ward, don't confuse demanding good and careful planning before jumping into historically huge construction with "perfection." Don't confuse expecting the mayor to have contingency plans already publicized with "perfection." Don't confuse a real, transparent risk assessment of higher costs after ground is broken with "perfection." Despite the fact that that his club is now living on the Metro dime, Mr. Ward's ultimate allegiance is not to us taxpayers but to the Sounds ownership group and to the luxury suite and other season ticket holders. However, I am pleased to see that Mr. Ward can for once utter the name, "Salemtown" with reference to the impact of his new toy. Hopefully, the Nashville Sounds will start treating us with more respect as time goes on. I will not put my money on it, though. Mr. Ward and the Sounds stopped their nostalgic references to Sulphur Dell and Jefferson Street once the council rubber stamped the Mayor on the plan. The nods to local history are over. Moreover, I'm told that when our association's event organizers approached the Sounds about co-sponsoring a recent event, the club sent some left-over bobbleheads and out-dated t-shirts. That is not much of a sponsorship. It is rather pathetic. "Creative visualization is my new plan to see that parking garage behind right field." UPDATE: Give a sports reporter a hard hat, a yellow vest, and personal access to the Mayor and he is bound to go all giddy. The Mayor's Office and the Nashville Sounds have to pleased with this free advertising: "the new park appears to be the latest home run for the city." Is the Tennessean's Dave Ammenheuser bucking for a future promotional job with the team? In a video connected to that editorial (because it is not good journalism), Frank Ward tells press, "Everything inside the ballpark will be ready for opening day." And conditions outside the ballpark? Fuhgeddaboudit! Another big question that has emerged this week is related to parking, a concern for the neighborhood, which has seen an influx of residents and visitors in recent years, crowding already narrow streets with cars. 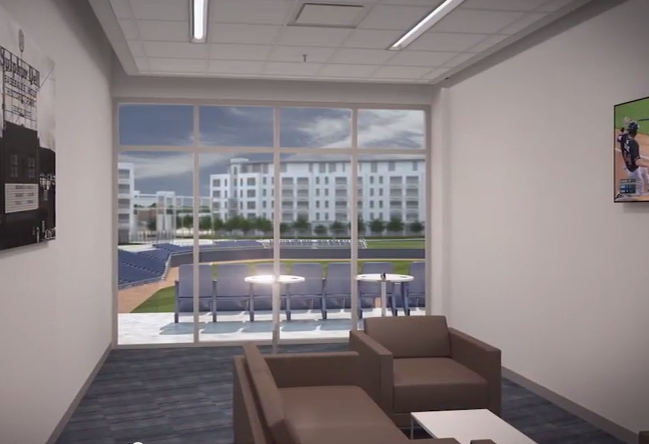 Dean's original proposal included a 1,000-spot garage to be funded by Metro but built by the state on state-owned land .... the garage won't be ready this season. The mayor's office will organize and host neighborhood meetings in the coming weeks to offer details on traffic patterns, noise and light pollution. So maybe we will eventually get some answers to a laundry list of quality-of-life questions that should have been answered in the planning stages before approval was ever given to start construction. UPDATE: So, the opening of the parking garage was never an expectation for opening day, huh? Then why are Metro officials acting like the news came out of left field? "It really put us in a lurch to figure out where we're going to park people," Metro Sports Authority Executive Director Toby Compton said. "A. We wanted to figure out as much of a parking blend as possible. And the mayor was really insistent that there be a free component to the parking. That was big. "To layer that, what we've also done is encourage people to think about mass transit options ...," he said. "Once they see this plan, they are not going to go north of Jefferson." Metro powers-that-be have "cobbled" together a transit plan that includes free parking at Farmers' Market, state lots on James Robertson Parkway, and the "center piece," $5 parking at the Courthouse 7 or 8 blocks away from the new ballpark. above the map's top edge? My first reaction is: why not free parking at the Courthouse? If I'm a commuting baseball fan and I have choice between parking in Germantown 2 or 3 blocks away for free or parking at the Courthouse farther away for fee, I would take the Germantown option. The fringe benefit of my choice is that I also get some exercise; health benefits accrue to the free Germantown option. Until the parking garage behind right field is built, there should be free parking for every fan in all of these lots south of Jefferson. Otherwise, Germantown and probably Salemtown are going to lose on-street parking. Universally free parking is the least the Mayor can do after blundering through the planning stages with no transit options ready-to-roll. UPDATE: the primary reason that the ballpark legislation was shamelessly rammed through the process with little council debate and practically no citizen influence over planning is realized Opening Day, April 17. 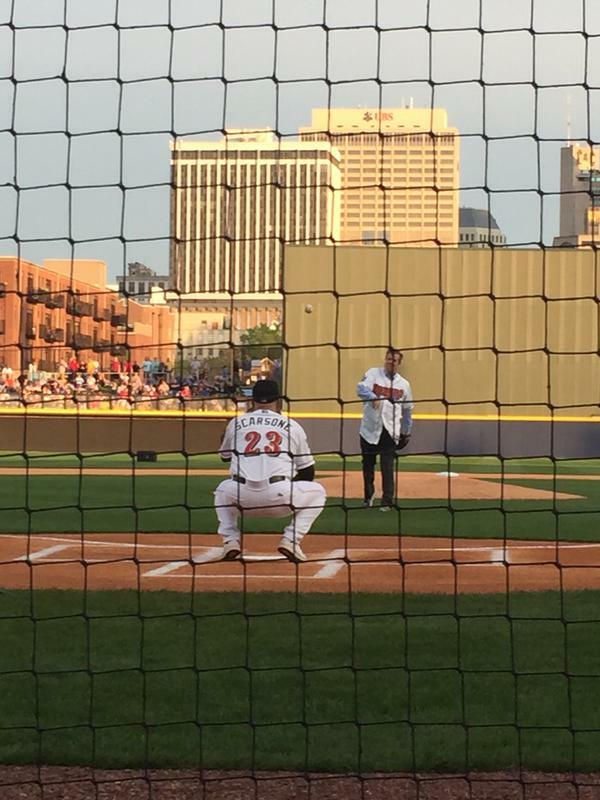 Hizzoner reserved the right to throw out the symbolic first pitch. His work here is done. This is not the kind of email we like to send. We’ve just been told that we have to move you to a new spot at your upcoming event, and we’ve been searching for new seats you’ll like just as much. We’ve done everything we can to get you comparable seats! If they keep treating me like this, I may have to re-evaluate my long-time status as a Sounds fan. UPDATE: It's Monday morning, July 13, 2015. Have to say that I am hearing more and more complaints in the local community as the summer goes along that Sounds fans seem to have discovered all of the free streetside parking in Germantown and Salemtown. I cannot say I feel too much sympathy now, because the dire and bloated parking situation was predictable and preventable. In the meantime, John Oliver's Last Week Tonight recently produced a brilliant piece on public taxes (in the form of municipal bonds, like those going to First Tennessee Park). The whole segment is wonderful and hilarious (according to one long-time stadium observer called it "more thoroughly fact-checked" than most news media coverage), but pay particular attention to the impact of one stadium on a neighborhood business, which locals who are "the regulars" abandon during games. Hopefully, you also noticed that one big league owner refused to be transparent about his team's finances in exchange for public revenues "because that's just how it is" in league history. You may also recall that Metro's Finance Director made the exact same argument for committing municipal bonds to build First Tennessee Park, even though there are glaring instances in which that was not the way it was at all, and even though Nashville claims to want to be unlike any other city in the country. You cannot really be "It City" if you simply conform "because that's just how it is." There were many more people present in the council gallery opposing his ordinance last night than favoring it. One of them even presented a petition against it with 407 signatures. The primary person speaking in favor of it was Tom White, land use lawyer and registered lobbyist for the Home Builders Association. The last time I saw Mr. White, he was defending the controversial proposal to introduce rural Whites Creek to more suburban sprawl. The rezoning request CM Banks is proposing would subdivide Brentwood farmland into 78 suburban plots. Former CM and current engineer-to-developers Roy Dale also spoke in favor of the project as he is on this development team. Does Mr. Dale ever work on a project that does not raise questions? Reportedly, there are opposition signs against the project "all over" the area around the intersection of Church Street East and Cloverland Drive. Opponents said during last night's hearing that they do not oppose development, but they oppose the rezoning, which they say would generate more auto traffic. They support the owners' right to develop the property within the zoning, which would mean tracks larger than the current plan, but still smaller than those in surrounding neighborhoods. One opponent said that when he asked CM Banks during a phone call which side he was on, the CM replied that the opponent did not understand that there were "some highly politically influential [unnamed] people involved." The same opponent pointed out that Roy Dale claimed that the development is within walking distance of Brentwood, but that Metro had not provided sidewalks or any other pedestrian infrastructure along the route to Brentwood. After the public hearing was over, council engaged in practically no debate in spite of the petition. To his credit, CM Bruce Stanley rose in opposition and reiterated that Metro's infrastructure is "substandard" to suit the plans that developers keep concocting. He also said that a "progressive" development is one that "shows benefit for the entire community, not simply the developer." Mayoral candidate and at-Large CM Megan Barry, who is running on the promise "not to lose sight" of neighborhoods in favor of economic development, said nothing about Plum Orchard rezoning and ultimately voted to approve Brady Banks' ordinance. As at-Large, she is technically this area's representative, too, but she did not lift a finger in advocacy for the neighborhood last night. In the end the council approved CM Banks' rezoning proposal. The moral of this story: 1 lobbyist carries more weight with this Metro Council than does the petition of hundreds of neighbors in the impact zone of developments. These are the salad days for council member at-Large Charlie Tygard. Unlike the past, he is on excellent terms with the Mayor's Office, which is no big shocker. Bellevue just opened a new library and conservative CM Tygard was there for it. Charlie's long Bellevue nightmare is over (CM Tygard in red-shirt). That's not all either Tygard or Manning said .... Tygard demanded that both Manning and [Mayor] Purcell explain to Bellevue residents why they would not be getting a library or more elementary schools. And then, he overplayed his hand: he accused the Mayor of spending less money on the Nashville community and more money on the courthouse and public square, which Tygard called, "monuments to government." Manning countered with facts that we all know: this Mayor has spent more money on the neighborhoods than any other Mayor ever has or probably ever will. The Finance Director said that if previous mayors and councils had taken steps to maintain and repair the courthouse over the years, then Metro would not now be spending so much to do so now. He also took his own shot at the Metro Council by saying that the mayor spends more time out in the neighborhoods than any Council members. Anyone who recalls what the Courthouse (and its raggedy blacktop parking lot) was like before the renovations knows that Courthouse Square is a magnificent improvement: a public space (with parking logically below ground) that is a testament to open spaces and free exchange. It is no more a "monument to government" than the new Bellevue library is. Goodness knows, Bellevue needed a new library, but apparently government buildings are only good to CM Tygard when they serve his own home base. And he did not do those constituents any favors by lashing out at government buildings elsewhere. Eight years ago in the run-up to Metro Council elections I surveyed what were in my opinion Salemtown's "future needs" that deserved Metro government attention. I did not just pull these needs out of the air. I read planning documents that had been put together with the community feedback of residents of Salemtown. Then I picked ones that I thought were realistic and realizable in one or two council terms. Now that we are in another council election year, I want to go back and reevaluate whether those needs have been addressed or not. [Metro] should address is conversion of the public property bordering the Treatment Plant to a landscaped greenway spur connecting to Morgan Park. That spur should include a decorative wall to hide the unsightly Plant from the view of the neighborhood. The strip of land running from Hume Street on the south to Coffee Street on the north is currently unlandscaped green space with a chain link fence and some trees and rose bushes. Currently, there is nothing about the green strip that attracts pedestrians strolling around the neighborhood. The rose bushes on the chain link fence seem almost like a token, half-hearted effort by Metro to beauty-up the strip. The space as it stands more designed to encourage people to hurry past in cars, because there is really nothing to see but a sewer plant. Nothing has changed along 3rd Avenue North, except the rose bushes are gone and there are more developments flying up on private property. The chain link fence still catches blowing trash. Metro has made no effort to overhaul and to reboot the public roadside strip into something people can use and enjoy. Metro has made no effort to block the blight and institutional ugliness of the water treatment facilities and their large grass-covered ash dumps blocking a clear view of the river. This area still has unrealized potential. The residents along 3rd deserve better. 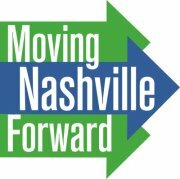 we need a more vigorous and comprehensive effort by our next council member to pursue a wholesale renovation to the I-65 corridor through Salemtown that includes many of the community-sensitive compromises that TDOT made with West End-Hillsboro neighbors when they put I-440 in the 1980s. The Neighborhood Plan calls for noise walls and heavy landscaping along the perimeter of Salemtown. The plot of an interstate up against the walls and yards of urban neighborhoods without the addition of sound buffers is unconscionable. Our next council member needs to find ways to help us motivate TDOT to correct its obvious oversight. 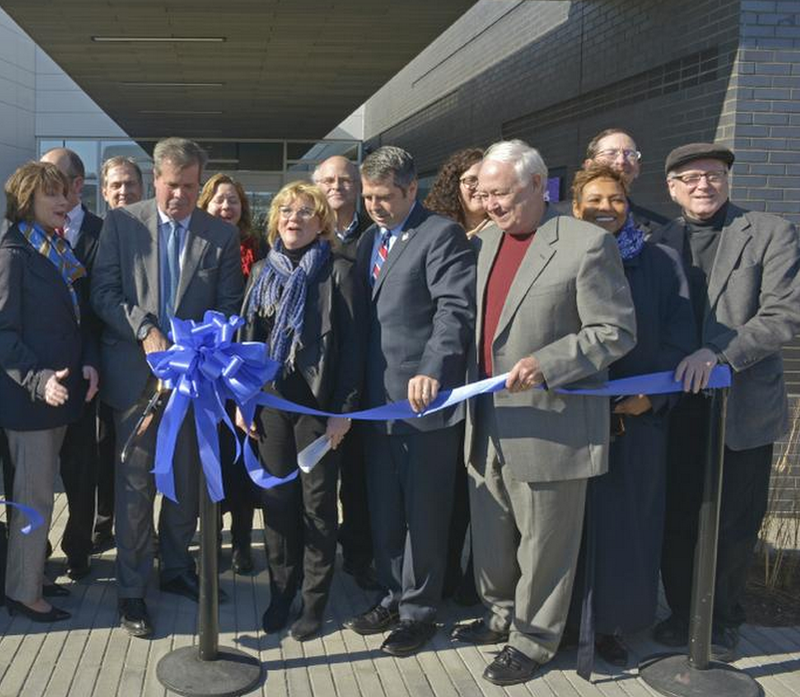 The state transportation department renovated the interchange between Rosa Parks Blvd. and I-65 in 2011, which improved the roads for auto traffic, but did little to benefit Salemtown. While TDOT did do away with concrete covered medians on Rosa Parks in favor of grass, they did not landscape them. Bushes and ornamental grasses could be useful obstacles for cars driving over the medians. TDOT cut down trees along the interstate, which served as partial buffers for road noise in Salemtown and then they refused to consider sound walls like those along I-440 in west Nashville. Instead, they threw the responsibility back on to Erica Gilmore, who did nothing to advance the cause of abating the roar of eighteen wheelers, despite the fact that in her 2007 campaign she acknowledged the problem. Salemtown still needs help with interstate buffering and better landscaping. Salemtown is a neighborhood of families that will not stay that way very long unless some measures are taken to keep it from becoming a place super-saturated with amenities only for singles and young families with no children. One of the things that should happen to attract families with children to locate and to stay here is to replace a quality neighborhood public school here. However, there are no feeder schools proximate to the North End. Fehr School sits right in the middle of Salemtown. Decades ago it provided an education for neighborhood children, but it is used to provide other Metro Services now, having little to do with the neighborhood itself. Erica Gilmore and the Metro Historical Commission deserve credit for making progress on this future need. In 2011-2012 they picked up the cause that many of us had been working on for years: preserving the civil rights landmark from demolition. The Metro Action Commission, which was headquartered at the school, dug in its heels at times against historic overlay, but they finally gave in and Fehr is now protected. In 2011, MAC moved to a new headquarters downtown, which meant that folk seeking utility bill assistance from social services would no longer have to line up early on cold mornings in front of Fehr. Head Start currently occupies Fehr, which suits the educational purpose of the building. In the past few months, I have participated in constructive community discussions with Metro Public School officials, organized by current council candidate Freddie O'Connell, on converting Fehr back to a functioning neighborhood school. I am not sure that we are close to achieving that, yet. If it happens I would hate to see Fehr become a charter school. If anything it should be an unadulterated public school open to all children in Salemtown and its environs. Salemtown, just like the rest of 19, is experiencing tremendous growth and redevelopment. The result is that we do have some greedy entrepreneurs who could care less about working with the neighborhood honestly for balanced growth in which everyone wins. Recently we found ourselves in the unenviable position of contending with both investors and Metro officials because growth is outstripping infrastructure in our neighborhood. The investors don't care because they only want to make money. Departmental officials only want to cover their butts. And many of our residents feel caught in the middle with no where to turn. It is not supposed to be like that. We are supposed to have an advocate on the Metro Council who not only listens to the contentions, but who is willing to get right down in the middle of the ruckus and help the sides reach a balanced and negotiated compromise. That council member should also be one to assist neighbors in consulting Metro Departments that are not always responsive or accountable. The Council Member should be leading the charge on updating our sometimes century-old infrastructure, while encouraging measured and responsible growth. Erica Gilmore has been considerably better than her predecessor on the Metro Council, Ludye Wallace. Where Ludye rarely showed an interest in Salemtown, CM Gilmore has attended our events and, especially early in her tenure, responded consistently. She went to bat for preserving the Fehr school building and many neighbors are grateful for her work on the conservation overlay. But I cannot give her much more than a solid "C" for advocacy for our neighborhood. She initially mishandled the conservation overlay process but then acquiesced to demands for community meetings. She was generally inconsistent with important community meetings. We were not always notified about meetings. And on the important question of a new minor league ballpark, she seemed prepared not to hold any meetings at all. When she did hold community meetings she ran them with a tight fist instead of encouraging open debate, negotiation and balance. The meetings were always framed as developers answering questions rather than getting feedback, and during one unpleasant confrontation with Salemtown Neighbors over rezoning, she seemed to question the association's legitimacy. We deserved better representation. I hope we get it in 2015. Salemtown proper is cut off from the Cumberland River by the Central Wastewater Treatment Plant. The Plant ... cuts our neighborhood off from direct contact with the river. So, the closest landing contacts our residents have with the river would be East Germantown and Downtown. So, it would make sense to extend the proposed transit loop past East Germantown to Salemtown and possibly MetroCenter. This could be done most easily by footpaths: extending the proposed greenway from East Germantown to the Cumberland River Levee Greenway in MetroCenter. But if a trolley run is planned for the Downtown to East Germantown leg, I hope that the future District 19 Council Member would look into the possibility of doing what he or she could to extend that trolley leg to a Salemtown transit stop (perhaps a greenway turnaround at the 3rd Avenue Treatment Center strip). So much water has passed under the bridge since I originally wrote this. I'm not even sure that the 2007 Riverfront Master Plan that included various landings applies. My point was that the trolley lines should stretch beyond downtown and East Nashville. More to today's context: with the opening of the new ballpark and the continuing densification of North Nashville, we are going to need more of the transit options that the east-west corridor currently enjoy. Trolleys running down 3rd between downtown and MetroCenter make sense more than ever. We got the extended greenway from Morgan Park to the Downtown Connector and Cumberland greenways. We have our walkable connection to the river that we did not in 2007, so if landings are still planned, we're in good shape. Mass transit still needs some work. We need pilot bus rapid transit projects for North Nashville. Light rail would surpass my wildest dreams (and is likely beyond what the next CM could accomplish). In Salemtown we need traffic and parking plans with street permits for residents, given the crush we will experience with the opening of First Tennessee Park. Metro seems to have failed us by not providing a comprehensive, smart northern transit plan (walking, biking and driving) with the building of the new ballpark. Most of the changes that I argued we needed in 2007 still apply. Some have taken different forms over time. But most of upgrades Salemtown ought to have--many of which were expressed by previous community plans--are yet to be realized. I hope that the next council member from this district can help us realize them. There is nothing wrong with new stadiums and arenas per se — well, unless you think they’re ugly, but plenty of old ones are, too. But the reason the U.S. has so many of them, and is tearing down its not-quite-as-new ones to replace them with shinier models as fast as possible, has nothing to do with the alleged riches that can be made off of them, and everything to do with the fact that in order to get those fat checks from the public treasury, you need to be able to present a giant construction bill as justification. If we could only start subsidizing something useful instead ... there would still be a massive transfer of money from the public to a bunch of rich dudes, but at least we might get something out of the bargain other than fancier cupholders. So, the numbers for construction are already juiced when the proposals are made. Then the municipal wizards come along afterwards and say, "Uh-oh. We did not expect archaic utility lines because you know they are underground and we can't see them yet even though it was like 1969 since the last time everything was dug up here at Sulphur Dell, and we could logically deduce the odds." So, they tack on millions more. I shouldn't lose sight of the original sin to the ineptitude of the bean counters. I've been following the Country Music Marathon up close for years now but April 2014 was the worst experience I've had on the race course here in North Nashville. Why? Because instead of shutting all of Rosa Parks Blvd. down for the marathon, race organizers opened half of it up to vehicular traffic, effectively cutting off the view of spectators as the runners went by. When asked, a Metro Police officer responded that some developers of some of the construction projects in the area lobbied to keep long swaths of Rosa Parks open so that their trucks and workers could get in and out continue to gentrify on Saturday. While not a marathoner myself, I maintain that marathons are unique in that they give neighborhoods the most direct, immediate contact with an organized sporting event that fields professional athletes. That's what I once enjoyed about the Country Music Marathon. It is too bad that Metro government, real estate developers and the marathon's organizers had to spoil that direct contact and the view with auto traffic in 2014. Will it happen again this year? I guess if developers continue to hold sway here it will. At the last Salemtown neighborhood association meeting, someone other than me (for which I am thankful) suggested to the officers that more social events be planned for families with children. That request was made after the officers handed out a list of planned social events somewhat bereft of events explicitly child-friendly: a Mardi Gras Mixer, Pink Flamingo Happy Hour, Progressive Dinner, Chili Cook Off, Sip 'N Stroll. Those are all lovely events I'm sure, but they seem designed more for empty nesters or for parents with babysitters on constant call rather than for those of us who are committed to spending time with our children. I have experienced the Salemtown Halloween Block Party, which is apparently on for 2015, too. While it did not deter the number of kids that came through for candy, it was organized more as a street festival for the concert-and-beer crowd. The "kids tent" was a single table under a small awning. I thought the officers could have taken the criticism more constructively than they did. They basically told the parent that she should participate in the social committee if she wanted to see more kid-friendly events because none of the members of the social committee have children. I believe that the suggestion was made with good intentions, but it did not come across as a constructive suggestion to me. I should be perfectly honest and say that this was not the first time I have seen coolness expressed by empty nesters toward families with children in Salemtown. Across 10 years it has been a challenge at times and with some exceptions to convince them to either co-sponsor or join in more kid-friendly events. At times parents here have organized events on our own the absence of association sponsorship. We've had outings to parks and water parks. We've gone to get ice cream. We've attended puppet shows at the public library. In the fall we've gone to scout pumpkins at Farmers Market. One of our more popular regular events we organized apart from SNNA in the past was our "Kid Klatch" events. They were generally at Morgan Park, but one time we had a "Jane's Walk" to Bicentennial Mall ending with a picnic and kite-flying. Rather than obliging parents to join a committee if they want to see events that their children can attend, invite the parents to meet with the social committee one-time or in a short series of coffees or lunches, kids in tow, so that the committee can get feedback for planning. Who knows, a couple of parents might take charge of their own suggestions to the committee. It is generally not effective or sensitive to tell people who suggest social events that they join the association's social committee. The reason we have committees is to divide the organizing labor and it becomes unrealistic to oblige every person who makes suggestions to join the committee. The committee would be come ridiculously and cumbersomely large under such logic. The social committee should field ideas on how to make their slate stronger, not dismiss those who cannot or will not serve. Put SNNA in front of the parade. If you don't produce social events for families with children, the parents are likely to go ahead and organize them without you. We did 3 years ago when we started to feel less support from the association. I have been to fewer and fewer Salemtown Neighbors social events since 2012, because frankly I want to spend my free time with family members. Until it sinks in at SNNA that they can actually get more Salemtown families to attend by attracting them with kid-friendly events, then I'll not likely attend many adult-oriented ones as I have in the distant past. To put it more positively: find events that parents are already planning and ask if the association can do anything to assist. Get SNNA's name on the event. What can it hurt? Use child-friendly social events as a tool to expand membership. I've lived here 10 years. Salemtown, unlike Germantown, has always had bunches of kids around the neighborhood. It is true now, more than ever. Daily in warmer weather I see young couples walking by with strollers. At times I wonder if we are undergoing a baby boom. Other parents on my block have play days for the kids that their kids go to school with. SNNA has to make more of an effort to attract these families and keep them in Salemtown. No one is asking empty nesters to open up their homes for our kids to barrel around their fragile decorations. But SNNA officers need to find a way to reach out to families with children, if for no other reason that it makes the association stronger and more diverse. Promote diversity. An urban neighborhood is generationally diverse when it has children as well as young adults, retirees, and middle aged-empty nesters. If Salemtown were a neighborhood exclusively dominated by empty nesters, it would be a tedious and boring place. I'm speaking as a person who did not have his first child until the age of 29; as one who will be an empty-nester once again in less than a decade. Any neighborhood worth its salt needs the presence of some children for enrichment. Express mutual interest by showing up once in a while. I have attended events in Salemtown to celebrate someone's promotion, birthday, engagement, marriage, move-in, move-out and a host of other special occasions that were important for me to support. On the other side of the ledger, I don't recall empty nesters showing up to one of my kid's basketball games or her art shows or her theater performances. I am not expressing resentment in that statement. I'm merely pointing out that one hand washes the other. It is unrealistic to expect parents to continue to find a babysitter to celebrate your milestones when you won't calendar and attend to those of their children. Mutuality, by definition, goes both ways. I offer these suggestions in a spirit of engagement, because I firmly believe in enhancing the quality of life in Salemtown. Yes, our sociality is enhanced by Mardi Gras mixers, but it is also enhanced by puppet shows. 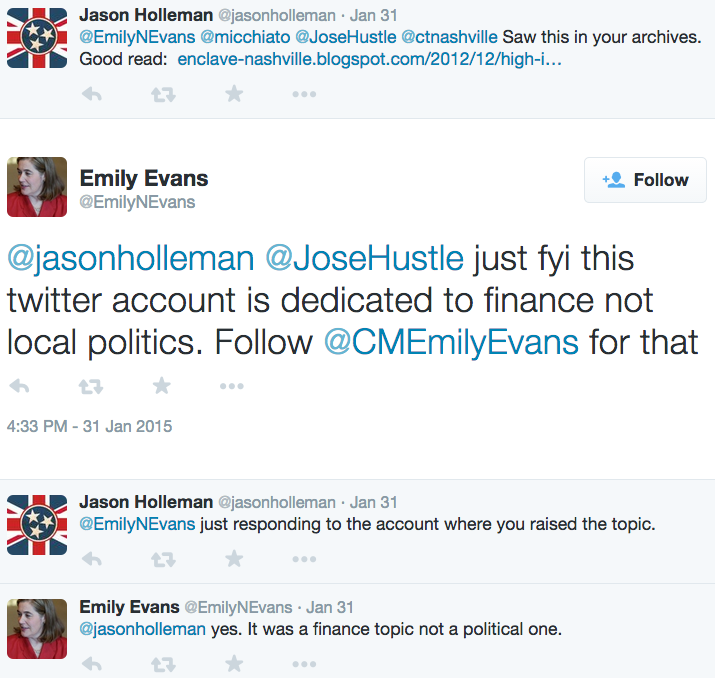 If CM Evans really wants "@EmilyNEvans" to scream "finance" rather than "politics," she might consider changing her account header photo of a TEP poster promoting political equality to something with dollar signs on it; just so that we understand the clear, unyielding structure of her various Twitter accounts. And I have to say, her "politics" account describes itself as, "I am the Metro Nashville Council Representative for the 23rd District." I want to avoid "taking Twitter too seriously," but that sure sounds more like a feed dedicated to her district rather than to general discussions on local politics. We may need clearer user instructions on CM Evans's various accounts. Otherwise, she might consider not taking herself so seriously when someone responds to her tweets outside the lines (or inside the lines; who really knows? ), thus upsetting the order of things. UPDATE: Who's she calling "some blogger"? I didn't used to be persona non grata back when I was pinning spurious attacks to the mat and getting the word out. I guess we can chalk up the council member's indirect Twitter response to the lessons of the fealty of big shots and politicos as expressed by campaign operative Richard Jemmons in the film Primary Colors: "That's what these guys do. They love you and then stop lovin' you." Mike Byrd is a resident of the Salemtown neighborhood in North Nashville. He writes one of the most prominent local blogs, Enclave, that covers neighborhood, local and regional issues. As an astute observer of Metro Government, Mike is responsible for breaking more than a few stories. I guess it wouldn't have sounded as good in 2011 if she recommended me as "some blogger." 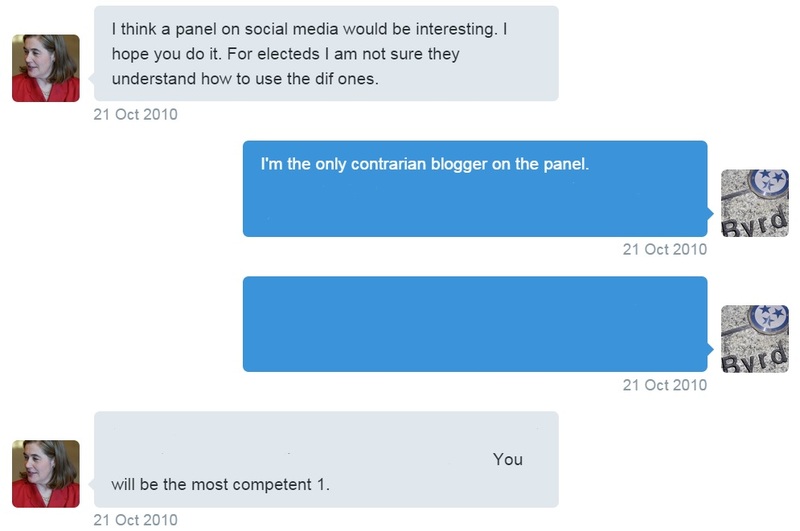 UPDATE: I was working through and weeding out my direct messages on Twitter and I found another past exchange between CM Emily Evans and myself that once again defies her more recent treatment of me as a trivial bete noire in the local political sphere. I was not always just "some blogger" in her eyes. Everyone is entitled to change their opinions of others, but since Emily Evans is out there publicly making negative assessments of what I do in social media, I intend to continue to try and balance the record with her more positive, remarkably candid comments. Dealing with new ballparks as "the sporting arm of the real estate business"
I know that some conservatives (by "some," I mean "very few") take issue with subsidizing pro sports venues period. I do not take issue with the idea of subsidizing ballparks. What I have tried to get across in my reflections on ballpark subsidies is that if a government by the people is going to give private developers and team owners millions for new sports parks, then those parks better have public access and common goods commensurate with the free revenues the sports barons enjoy. 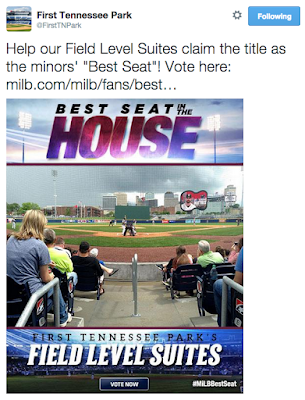 In most cases, and specifically in the case of the new First Tennessee Park for the Nashville Sounds, they do not. The Sounds owners are playing up their services for Nashville's rich: luxury suites, "personal" servers, the "private" club level, and "exclusive access" bars. Even the best field level seats are set at a luxury price and emphasize the networking executives can do. Private, exclusive access? Funny, but I thought such access was what any ticket, regardless of price, guaranteed you. The idea that seats purchased at the club level with luxury boxes are more private than the purchased seats farthest away from home plate strikes me as redundant, unless by "private" the Sounds owners are referring to activity they hope to shield from transparency to other ticket buyers. I am keeping in mind that the property is owned by Metro, leased by the baseball club and is technically public. A Wisconsin professor (who had conducted research on the Sounds old parent club, the Milwaukee Brewers) explains that the sports culture is completely different than it was a half a century ago when elites rubbed elbows at professional sporting events with working class people. The problem Sean Dinces sees it that while we continue to expect more public tax dollars to be doled out for ballparks and stadiums, we also watch team owners accept that money as entitlement as they systematically exclude most of the taxpayers from whence the money comes. The problem starts with luxury suites, which "make fans inside them feel superior and those on the outside feel inferior." rather than bringing residents together, and rather than functioning as legitimate public goods, the current generation of publicly funded stadiums systematically exclude an unprecedented percentage of American sports fans. Of course, decisively rebuking the rhetoric of teams and leagues will not, in and of itself, solve the problem. This is especially true in a day and age when decisions about stadium subsidies have been largely removed from the democratic process, and when franchises continue to wield threats of relocation like a sword above the heads of residents and municipal officials. Nevertheless, reshaping fans’ consciousness is a necessary starting point. Ideally, fans should see an intractable antagonism between the potential of spectator sport as a community asset and its current role as a venue for taxpayer-funded consumption by a handful of urban elites. Critics must also stress that, despite what leagues want us to believe, fandom is not necessarily contingent on having a stadium — or even a team, for that matter — close by, especially when attending actual games is unrealistic. In the short term, transforming this consciousness raising into effective resistance against the sporting arm of the real estate business requires wresting fiscal control away from politicians competing to offer teams ever greater sums of state, county, and city money. This means making anti-stadium-subsidy campaigns part of bigger struggles for social justice in cities, like the rise of a new radical unionism in places like Chicago or recent electoral successes by socialists in urban centers, such as Seattle. The games will go on even if the handouts do not. I have demonstrated on this blog over and over that throughout the planning and building of a new ballpark in the North Capitol area, people have been excluded from the political process by the Mayor, the Metro Council, Metro planners and the Sounds ownership. Just take a look at my past posts on the subject. Liberals in Nashville have failed to step up their game when it comes to challenging the logic that urban elites have exclusive rights to influence and benefits in what is a process and a real estate deal that was funded overwhelming by tax dollars that we have paid. In my opinion, unless there is some liberal groundswell to challenge business as usual in these deals that serve "the sporting arm of the real estate business," we are only going to watch more and more people excluded from public enjoyment of the local professional sports scene. The next ones in line to get the shaft are the local baseball fans, many of whom have already been grumbling about the higher prices of Sounds' season tickets. Given that their tax dollars are supporting an ownership group that drives up prices regardless of the latter's windfall wealth, their grumbling is justified. UPDATE: In May 2015, the Sounds engaged in a league contest to promote the "Best Seat in the House" in the minors. What seat did they nominate for best seat to vote for? Seats that most of us will never be able to sit in: the "Field Level Suites," which the club calls their "most luxurious and exclusive entertainment area." The irony is thick in this one. Proverbial beauty contests depend on popular votes. To be popular means to appeal to the masses, not the elites. Yet, only elite groups of people can afford to sit in the ballpark's "most luxurious and exclusive" seats. If you're one of the $9.00 ticket holders on the left field berm, how is voting for the Field Level Suites in any way appealing to you? Around this time 10 years ago a dozen or so Salemtown residents hatched plans to form the neighborhood's first association. In late February 2005 we met for the first time at Morgan Park Community Center with Metro Planning officials and we were off on this trek. There has not been much pomp and circumstance so far in 2015 over this important Salemtown anniversary, but those of us who have been here from the beginning deeply understand the hard work that went into the formation, organization and growth of SNNA. I am proud to have been a part of that work. Happy 10th, SNNA. The masses .... They were in the majority. When the master got sick, they prayed that he'd die. If his house caught on fire, they'd pray for a wind to come along and fan the breeze. 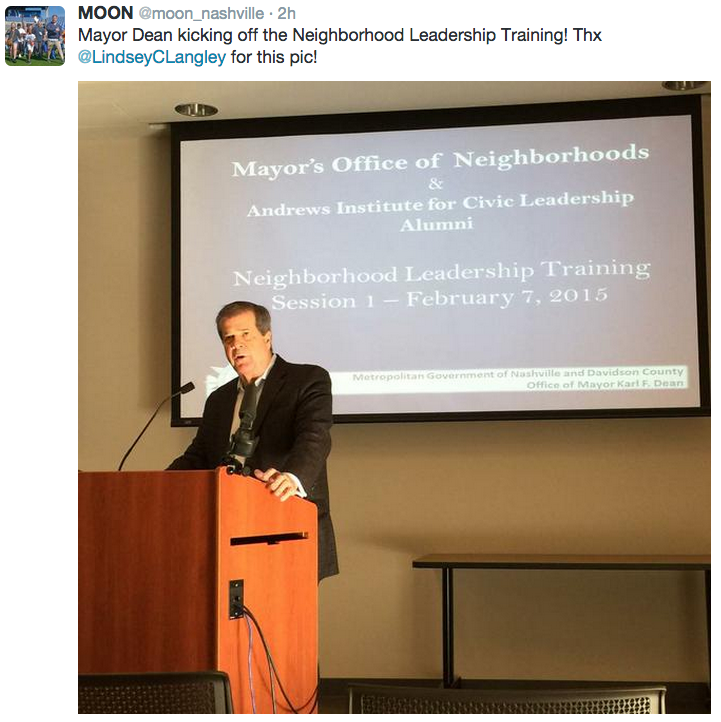 Check the bottom for the diminutive council member retweets. Interesting to see that a couple of council members may support the idea of hiring African American women to bolster the income line of a company that charges a disproportionately minority, working-class clientele 600% interest. The legacy of usury is littered with the lives of people locked into cycles of debt and poverty worse than when they entered thanks to the paternalistic opportunism of lenders who claim they are providing the masses with options. Of the consumers who frequented the payday store fronts, most were women. People who were divorced or separated were 103% more likely to use the loans, while African-Americans were also 103% more likely to take out the often predatory loans. So, do CM Evans and CM Todd support the idea of barring obstacles to a wealthy lending corporation hiring women of color to help it push other women of color into poverty? The creation of jobs in a business that preys on widespread dislocation (Nashville's poverty level is a crushing 19%) seems like integration into a burning house. And it takes the pressure off the predominately white business elite, who perpetuate a cruel and pitiless finance system, while marketing Nashville as an attractive "it city" on the make. What about the claims that predatory lenders are doing African American women favors by hiring them? Do we have any stories of Nashvillians, deeply in payday lender debt, who were able to climb out of it after being hired by payday lenders on the salaries at the work hours they pay? Does the news media bother to talk to former employees of payday lenders to get relevant information? Meanwhile, regulation or not, the lenders will weather whatever comes. They will live to continue to set blazes to peoples' lives and stay free from crushing risk themselves. The absence of meaningful federal, state and, yes, local regulations on lending constitutes wide latitude to for high-interest, self-serving loans that inundate good people made desperate by an unforgiving economy. The stick in Advance Financial 24/7's craw is the ding their "24/7" brand is going to take by limiting their perpetual operating hours. That is it. The only thing at risk is their marketing brand. This is not a fight over people. It is a company defending their brand. Otherwise, if they authentically cared about African American women, as their founder shamelessly claims, why not offer them low-interest loans to begin with? Why not? Because if they did, they could not make huge campaign donations to Tennessee politicians, including some who come through the Metro Council. Why not? Because if they did, then they would risk engulfing their own houses in financial risks in an unforgiving market. And, on their way down, they might not get too much pity from people they once used on their way up. The Chamber opposes this bill [to limit the operating hours of payday lenders] because it is an excessive over-regulation of business .... Regardless of the function of the business, we believe that this type of legislation sets a worrying precedent in restricting the hours in which any business can operate. Furthermore, this becomes even more ominous when legislation appears to target one specific company that operates 24/7. Our members include businesses in this industry; we would not recommend hour be restricted for any of them. This is another thinly veiled attempt on the Chamber's part to leverage the least amount of resistance to do whatever in the world their members want to do. The majority of Nashvillians who are not members can go to hell as far as the Chamber is concerned. Where hell lies for many is on the bottom rungs of the socio-economic ladder. Chamber lobbyists posture as if their member companies are fighting poverty by providing jobs and services that people cannot get elsewhere. But for a group so dedicated to business models they fail miserably to count the actual costs of lending jobs that empower lenders to push Nashvillians farther into poverty. They don't want to discuss the poverty that is generated by the jobs provided. 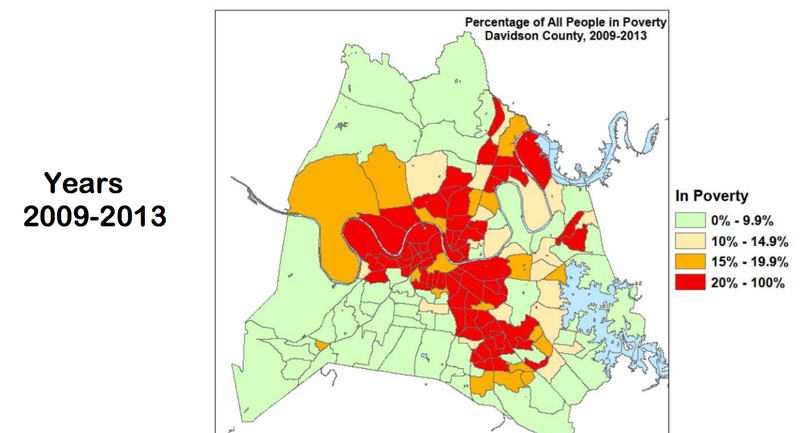 At best they remain willfully self-ignorant of Nashville poverty. At worst the Chamber is running a confidence game so their member companies can continue pimping poor people out of their cash flow. Over-regulation of business? When has the Chamber championed any regulation of business? The writers of the letter completely ignore the fact that certain businesses in Nashville are already regulated as to times and even days that they sell their products. There is a precedent already set in Nashville. It is reasonable to assume that just like payday lenders have paid vast sums to finance political campaigns, they have likely donated a chunk to special interest lobby groups like the Nashville Chamber of Commerce. They're just continuing to fan the flames. The final draft is still being drawn up. But broadly, the rules require contractors to get special permission to blast between the hours of 9 pm and 7 am. And for other noisy activity – like pouring concrete – the builders have to submit a plan regarding their efforts to minimize the disturbance and notify the neighbors. Recall that existing hotels are losing money because they are having to comp tourists and visitors who are unhappy with the night ruckus nearby. It seems that existing hotel companies are getting a dose of their own medicine, given that their construction projects were likewise hyper-local nuisances. But let's put aside for now the question of whether this deal would have been struck had the tourism industry not been pitted against itself. I want to focus on the contractors and developers. This week a manager from one of the huge Midtown projects told me that his company was going to continue 6:00 a.m. dynamite blasting for important utility lines, but that he did not have a firm schedule yet because the construction contractor brought in a bunch of heavy equipment and blocked some blasting areas. Reportedly, the blasting contractor could not convince the construction contractor either to move the equipment or to give him a schedule that he could set for blasting. So, there is no firm blasting schedule. Area residents have just have to be prepared every morning "at sunrise" for the next few days for blasts that may or may not occur because some contractor cannot move his equipment or give other companies a firm idea when it would be moved. If the bosses on these Midtown construction sites cannot even bother to work with one another to coordinate action in order to complete necessary tasks, why should we have faith that they are going to live by rules that prevent the erosion of the quality of life outside of their moneymakers? They seem to be too busy internally patrolling their own turfs to give a crap about the welfare of the surrounding community. UPDATE: A Midtown resident tells me that there was another sunrise dynamite blast today (01/30/15 -- 6:05 a.m) at a nearby construction site. Does the new curfew apply to Midtown or not? "When the conversation can exist between a neighborhood and developers, good things happen at the end of the day," [Jeremy] Kane says, adding that the gentrification problem could be solved simply through better communication. Well, yeah. But the trick is getting developers to the table in order to willingly negotiate and compromise on rezoning deals. Another trick is getting them to go beyond anything but what they are strictly required to do, which is a problem that plagues the question of affordable housing. In my experience, I can think of a small number of developers who were proactive enough to launch the communication with the community. Many developers did not bother until they faced some outspoken community concerns or resistance to their plan (see, "We were moving smoothly until some guy blogged on us"). Once the threat of derailment due to transparency and organized opposition becomes real, they discover communication. I can think of only one who initiated conversation even though he was not seeking rezoning and thus did not have to. That is not a promising track record for those of us who want to make sure that the growth that occurs in neighborhoods compliments the character of the community in question. So, the challenge is to broker power fairly, which is step beyond mere communication. However, I do not blame developers strictly for not seeing this. I also blame politicians in general and council members in particular (especially when the latter do not frame community engagement as the central part of the planning and zoning process). Better communication depends on the willingness of developers and politicians to meet with neighborhood organizations and hash out mutual understanding. It's a predetermined or prearranged developer willingness to meet halfway, to lose a few things in order to win most of what they want. But since very few developers actually do that they're going to need more than a simple invitation. 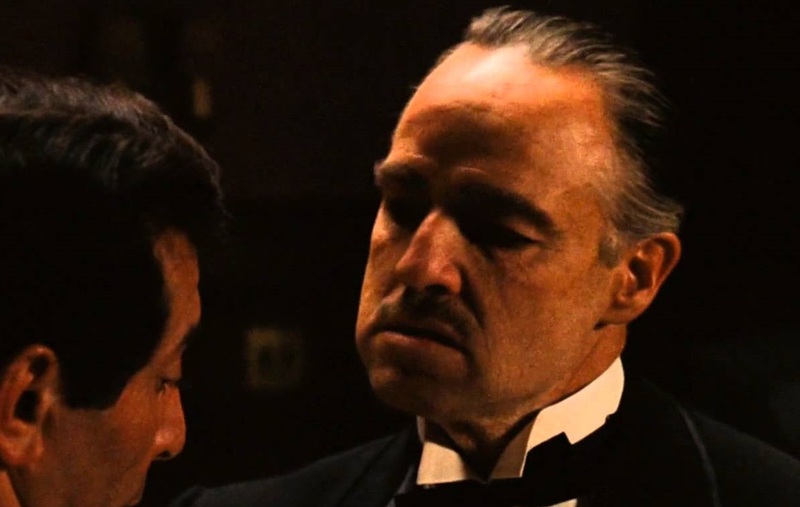 They're going to need an offer they can't refuse. Last June, the Tennessean made a concession to Metro Council (in exchange for defeating an ordinance that would have regulated delivery of their unsubscribed "free" editions) that employees from the newspapers' offices would do "ride arounds" with the delivery help and pick up unclaimed papers littering sidewalks and streets. The Tennessean is not keeping its promise in Salemtown. I took the photo below this morning near my house. The rolled-up, plastic-packaged Tennessean at the foot of the steps in the background is yesterday's edition. 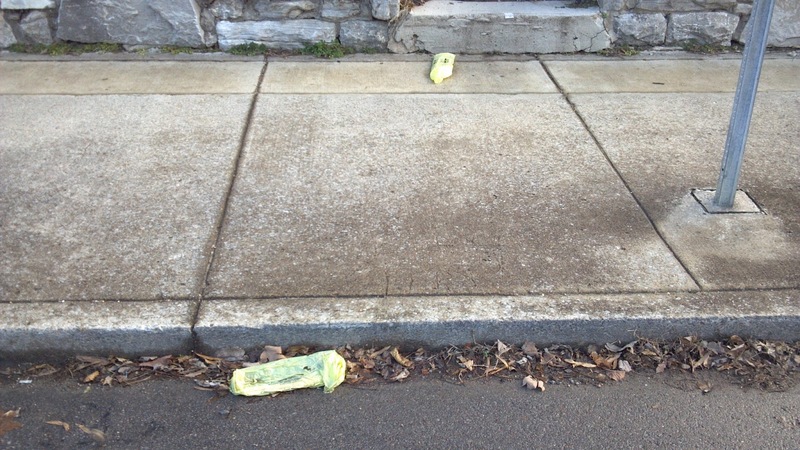 The rolled-up, plastic-packaged Tennessean at the curb in the foreground was delivered on December 24, 2014. 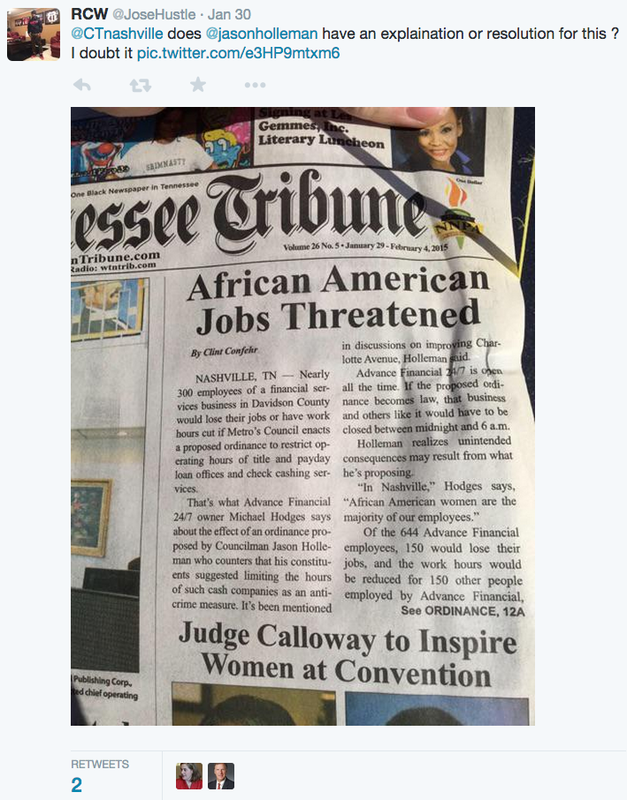 The Tennessean is not keeping its promises to Metro Council. CM Megan Barry championed the defeat of litter regulations in our neighborhoods last June by describing the concession of the Tennessean to reclaim their unclaimed papers as a "good thing." 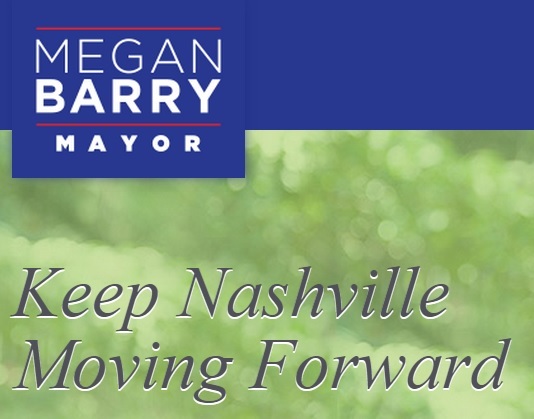 This is the same Megan Barry who is running for mayor this year promising "not to lose sight" of neighborhoods by permitting economic activity to "degrade quality of life." Well, as you can see, the Tennessean continues its quest to make more money by littering my neighborhood's public spaces with unsolicited advertising. Litter degrades Salemtown's quality of life. Promises broken by the news corporation. Promises broken by the corporation's political patrons on the Metro Council. Promises broken all around. If Nashville really wants to keep its sports teams, why not eliminate the middle man, namely the team owner? If a pro sports team is such a unique expression of a city's identity, a unifying force and an engine of economic expansion, then why aren't cities assuming control of them to keep them from bolting to other cities? You're probably familiar with eminent domain as the means by which the government forcibly takes private land to make way for a highway or public building or hyperspace bypass, having only to pay whatever a court decides after the fact to be fair market value.The legal principle goes back hundreds of years, and doesn't have a great rep, especially as courts have expanded the notion of "public use" to include taking people's houses to hand over to private developers so long as it would promote "economic development"—even if there was no guarantee that the development would stick around more than a few years. Say you're a city council with a pro sports team demanding $200 million or so in public cash for a new building—let's call them the "Milwaukee Bucks"—under threat of leaving town if its owners' demands aren't met. Instead of reaching for your municipal checkbook, you respond by drawing up eminent domain paperwork. In the best case scenario, the mere threat is enough to force the team owners to lower their subsidy demands. In the worst, yes, you're stuck paying close to $600 million for an NBA franchise, but keep in mind two things: first off, that's how much the current Bucks owners just paid on the open market for the franchise, so presumably somebody thinks they'll bring in enough revenue to make that worthwhile. Plus, if you don't want to be stuck with the risk of the Bucks not earning back your investment, you can always re-sell the team to new private investors—even if you need to sell for $50 million or $100 million less in order to get new owners to agree to an ironclad lease, that's still cheaper than handing over $200 million for nothing. In my opinion, the Metro Nashville mayor's office and the metro council both failed to do their due diligence in exploring the possibility of filing eminent domain in response to Sounds' and Brewers' (the Sounds' previous parent club) insinuations that they could always go elsewhere if they did not get a new ballpark. 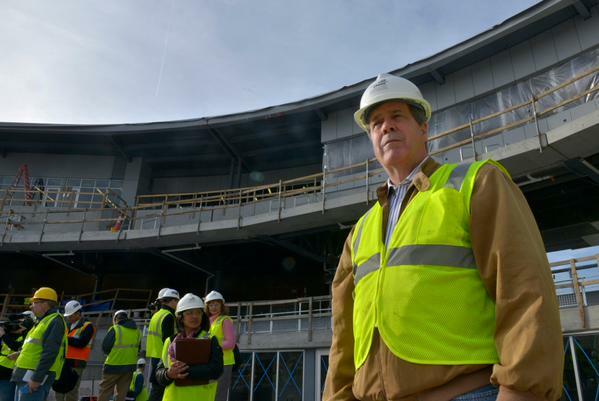 We already saw them back off the west bank downtown when Karl Dean made it clear that a new amphitheater was going in there. I will forever hold against Hizzoner and whipped council members that they did not call the team's abandonment bluffs. [Karl Dean's plan] also includes $750,000 from a $50 million mixed-use development the Sounds owners — developers by trade — promise they will build. Promise based on what? According to Mayor Karl Dean, little more than their word. There is not, and will not be, a contract pledging the Sounds to build this project. Pressed on that, Dean said if the Sounds didn't build the development, somebody would. Probably. For the city — any city — to make a three-decade, $65 million [now $70 million and rising] commitment based on a handshake arrangement with absentee ownership is head-scratching at best and mind-numbing at worst. But if that's the level of commitment the city is already willing to make, why not go whole hog? Why not just buy the team? The value of the Sounds is hard to pin down (though, presumably, it's gone up with the promise of a new stadium). But Forbes' recent estimate of the 20 most valuable minor league teams did not include the Sounds. The 20th ranked team on that list — the Oklahoma City RedHawks — came in at $21 million. For, say, $20 million, the city gets the team ... and it gets the revenue. Not just the increased sales taxes budgeted in the financing plan — all of it. Ticket revenue, beer money, parking costs. All of it. And if the mayor is to be believed, the city doesn't even need the Sounds for the $50 million ancillary development. It's going to happen anyway. Right now, the city is spending at least three times the total value of the Sounds — that's being generous — to build a stadium. Doesn't it make more sense to own the entity outright? Instead all of the pie-in-the-sky Jefferson-Street-rejuvenation wishful thoughts they have been spreading around in PR campaigns, Metro government could have been working on ways they would start spending the revenues that have already started rolling into team owner Frank Ward with season ticket sales and merchandising profits. Despite the option that taking the Sounds by eminent domain or buying them would have been a more financially responsible act on Metro government's part than subsidizing their private enterprise, the Mayor likely never would have considered public ownership because he might have angered wealthy campaign donors who have financial stakes in the Sounds' ownership team. A deal that would have been more financially responsible to and more demonstrably lucrative for Nashville taxpayers probably never surpassed his own self-interest. Angering the special interests might risk Hizzoner's future political aspirations for higher office. Things could have been done differently. But they were not. And Nashville missed its shot at a title. On the one hand, Mayor Karl Dean refused to attend the predominantly African American town hall meeting in North Nashville last August focused on local apprehensions and tensions in the wake of the Ferguson, MO protests over the shooting of Mike Brown. On the other hand, Hizzoner made every effort to attend a predominantly white rally this month called by the "honorary French consul" in Nashville to protest the shooting at Charlie Hebdo headquarters. I don't even know what an honorary French consul does, but she only pulled together 75 people for her rally. Hundreds packed into Mount Zion Baptist Church last August. When basic freedoms are attacked, when journalists pay with their lives for exercising their profession, for speaking out, for exercising their right to give their opinions, citizens can't walk comfortably. So, basic freedoms matter in France, but not in the protests of Ferguson, MO? Not in the press coverage of the suppression of protest against St. Louis County police? Not for a Nashville community shaken by the brutal responses to Black Lives Matter? 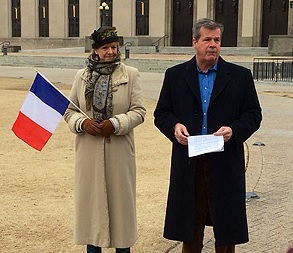 The contrast in the Hizzoner's selective attendance of protests points to the reality once again, that Karl Dean prefers not to be the mayor of all of Nashville, but to play the plenipotentiary for the local aristocracy. "The Tennessean strives to protect free speech and the First Amendment every single day. It is our duty. And it is our passion." "But at the end of the day, we work for you. We work to ensure democracy is an open process with citizen input. We strive to hold officials accountable." "And that’s part of the reason why today, I ask for your subscription. Please help support quality journalism in Middle Tennessee by purchasing The Tennessean." We have heard this kind of logic before. George W. Bush told Americans to exercise their freedom and support their country by "going shopping." In the Tennessean's case, Stefanie Murray encourages the further commercialization of constitutional freedom in the purchase of her company's product. It's not that far removed from telling us to go shopping. Mainstream, corporate journalism acts like it should enjoy a special place (remember "the 4th estate"? ), but also it also treats its content as a product sold in the marketplace, even as it pays its labor force very little for the value they add. For all of their self-promotion as being community-minded and dedicated to open process, back in 2007, the local papers trotted out lawyers and PR flacks to blunt organized neighborhood dissent to their mythology that the First Amendment guarantees long, cluttered rows of unregulated news racks. If they really wanted to support the democratic process, they would not bring in legalistically-minded professionals and lobbyists, but would negotiate and compromise with citizens directly on the commercialization of information. Instead, mainstream journos tend to confuse the grey zone of commerce with the unalienable right to transparency, fair dealing and openness. Black's Law Dictionary defines unalienable rights as those rights "incapable of being alienated, that is, sold and transferred." So, how is it that our freedom of speech hinges on the purchase of a commercial product, in this case an advertising circular moonlighting as a newspaper? And frankly, if you buy without question the logic that Tennessean reporters and editors exercise freedom beyond the reach of political influence of their Gannett corporate check-signers, then you have already surrendered your freedom of critical thought to self-delusion. Money exercises influence. Public relations sugarcoats that influence. Wealth may not be able to threaten freedoms as provocatively and visibly as terrorism, but may erode them more persistently, more efficiently and more effectively. And frankly, it is a smarmy hucksterism to use a tragedy so explicitly to sell more papers. There is too much at stake in the historic struggle to defend freedoms to fall for Ms. Murray's sales pitch.